If your projects require you to dump over walls, backfill or load flatbed trucks, consider a radius path loader. This economical option lifts the bucket or attachment in an arc pattern, providing greater reach at mid-range heights compared to a vertical lift path. If you frequently place pallets of blocks or sod, or dump into high-sided trucks, a vertical lift path may be the best choice. On vertical-lift-path loaders, the load is raised straight up, closer to the machine. You can safely lift more than an identical radius-lift-path machine. Since you have more reach at full lift height, you dump into the center of the truck — or keep the loader farther away, depending on your needs. Confused? Here’s a simple guideline: If your tasks are typically at (or below) eye level, a radius lift path is ideal. If you generally work above eye level, a vertical lift path is a better option. 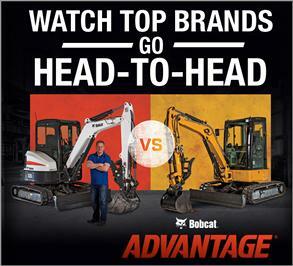 Side-to-side lift arm movement leads to greater wear, reduced lift arm life and unwanted spillage of material. 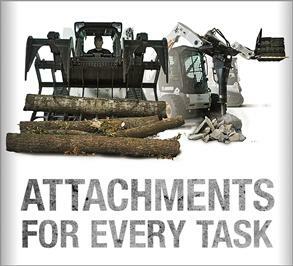 Bobcat® loader lift arms feature a single-plane design where every pin and connecting point remains in the same plane throughout the lift cycle. 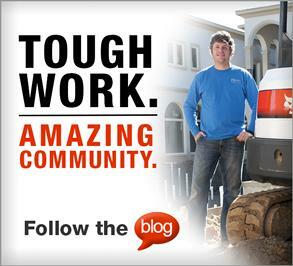 The patented design is more durable and helps you work confidently in tight areas. 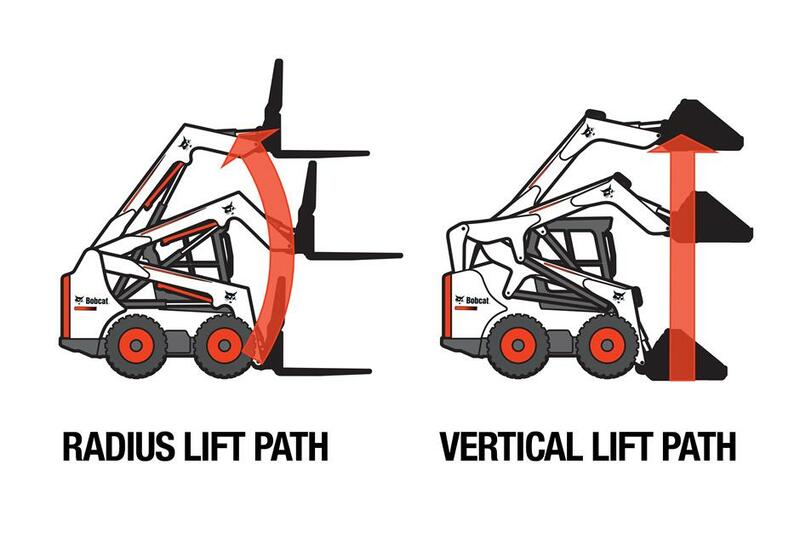 When you compare loaders side-by-side, check the lift arm pattern. As you’ll see, the single-plane design is built for tougher work.